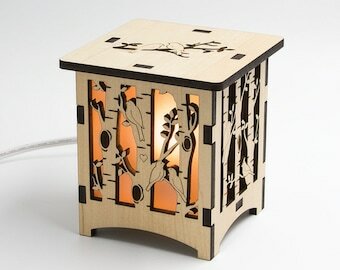 This lantern features my take on the tree of life. 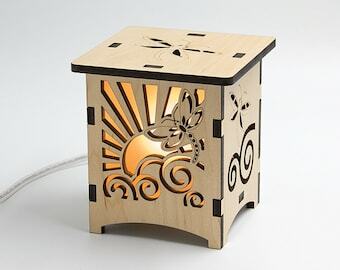 It includes a wrap around design of the tree of life with many animals and critters. 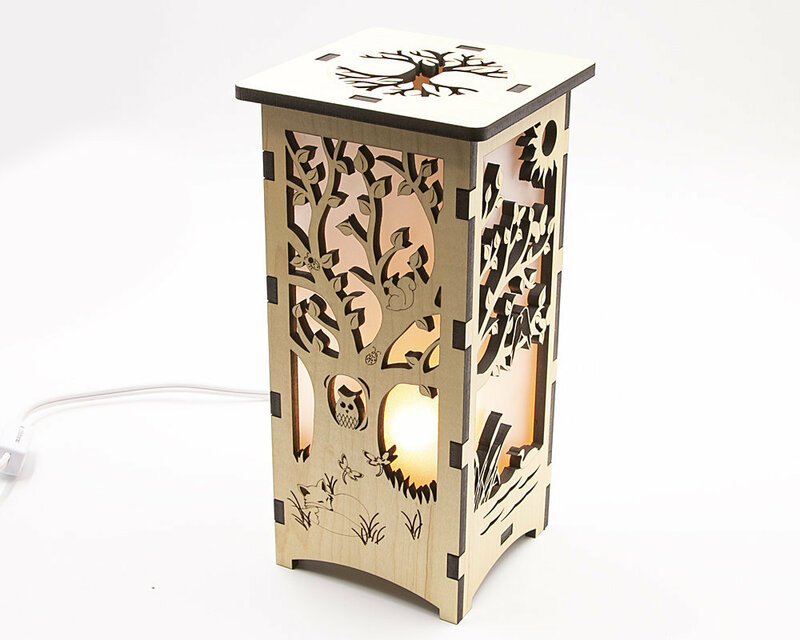 On and around this tree you'll find an owl, dragonflies, butterflies, ladybugs, two lovebirds, crows, a squirrel, a deer, a loon, and a sleeping fox. 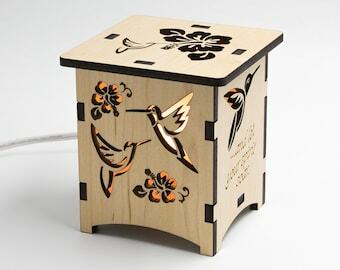 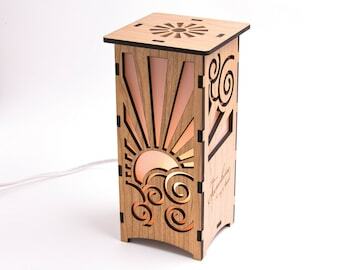 The top of this lantern features a cut out design of the tree of life. 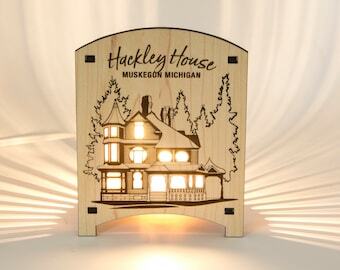 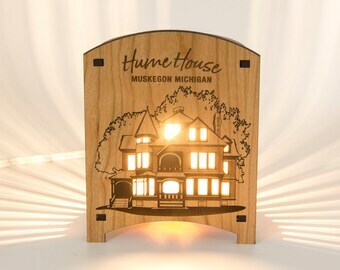 The designs are backed by a frosted vellum paper to allow for a soft warm glow from the nightlight.